At the heart of Starbucks is the commitment to serving the highest quality coffee, sourced in the most responsible way possible. 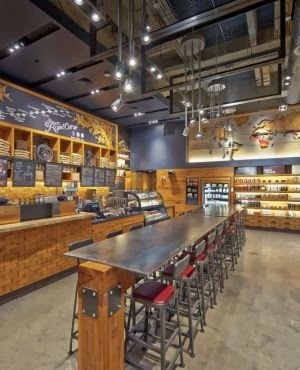 This store reflects these ideals by being an exploration of coffee passion for customers and Starbucks partners (employees). 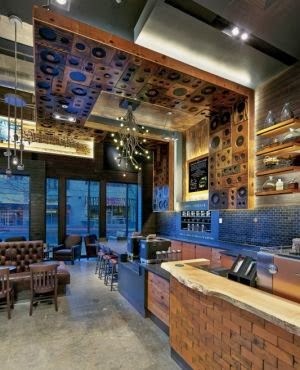 Designers incorporated several details to tell the Starbucks coffee story, from a world map highlighting growing regions to art work inspired by coffee farms. The wall behind the main bar features chalk art depicting the coffee roast curve with coffee branches carved into the wood, along with a carefully curated display of coffee-themed art & artifacts. The store also offers Starbucks Reserve® coffees, a line of rare and exotic small batch single origin coffees that are only available for limited times at select stores. 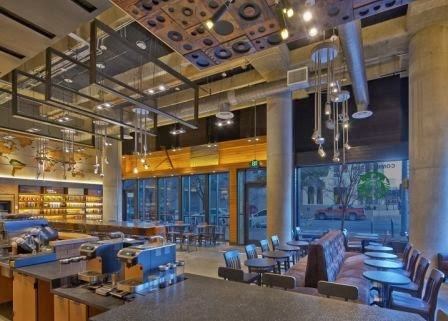 With a Clover® brewing system, customers at 3rd & Lavaca in Austin will discover new layers and dimensions within their coffee’s familiar aroma, flavor, body and acidity at a specially designed tasting table. 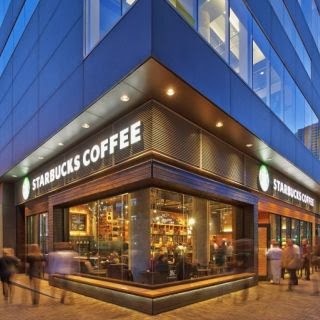 With 18 design studios around the world, Starbucks in-house design team continues to innovate and create local relevancy all while meeting the evolving needs of its customers around the world.